Super lightweight inner tube designed to meet your racing needs. Schwalbe tubes are designed & manufactured to retain air pressure considerably longer than their competitors. Not only is each individual tube inflated & inserted into a mould to ensure that there is even wall thickness & excellent air retention, they are also stored under pressure for 24hrs to test air retention. Valve length of 40mm for Standard version. Weight 95g. Significantly lighter than the basic Schwalbe tubes, they seem to hold pressure fairly well too. When used with lightweight flexible tyres like Marathon Supremes the ride is excellent. ProsLighter rotating weight at rim. Reduces weight at the point on the wheel where it matters. I have found the valve core may need tightening a bit when new, a slow leak shows when this is needed. Is this tube made from Butyl or PV... Please try guys to specify then we don't have to spend endless hours researching. Don't mind what the answer is But Up-Front could save us botha lot of wasted time. 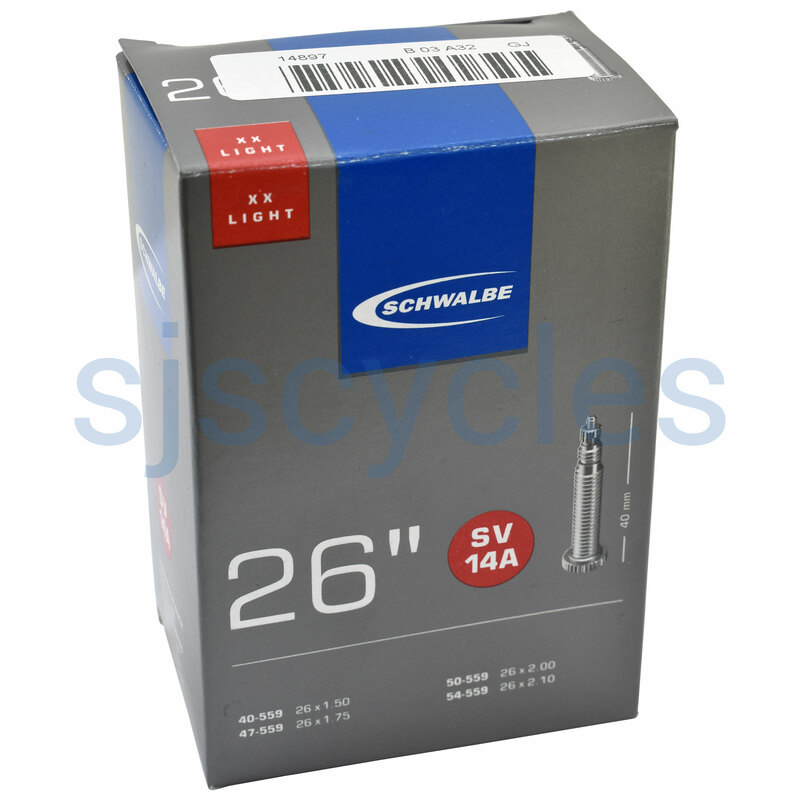 All Schwalbe tubes like most tubes are made from Butyl. If any of our tubes are made from a different material to this standard material they would be clearly listed.